We are so excited, our family from Chicago is here to visit!! Yesterday was so fun! Annie was especially interested in the Easter egg surprises. I, on the other paw, loved to join Caroline in the pool. Then I gave Charlotte equal time in the evening chasing toys with her. I have a feeling I will need a vacation after they leave! PS - Annie still needs to rest. But as you can see, she is feeling much better ! They sent it to us for Xmas! BearHUGS & RosyPoodleKisses! Oh boy Rosy they remind me of the little people that come to visit here! Ours are smaller though. They are named George and Olive. It looks like you had fun with your little people! Ours scare me (& I always need a vacation from hiding in the closet when they leave)! So glad to see Annie up and about & happy to hear she's feeling better. Go Annie! It is fun! and its especially fab when they grill or order pizza ! BearHUGs & RosyPoodleKisses! 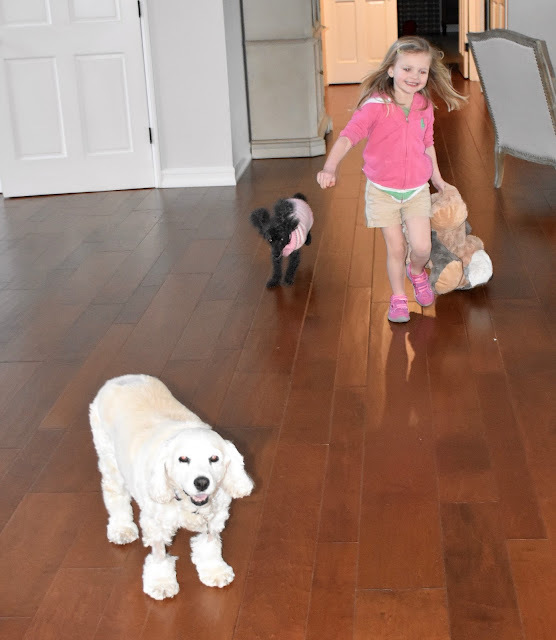 PS - love the names George and Olive! That's a beautiful BigBlueBoat you have, Rosy! It looks like a wonderful time was had by all. On their walk in the park tonight, OurPeople came across some eggs that weren't found on Sunday. 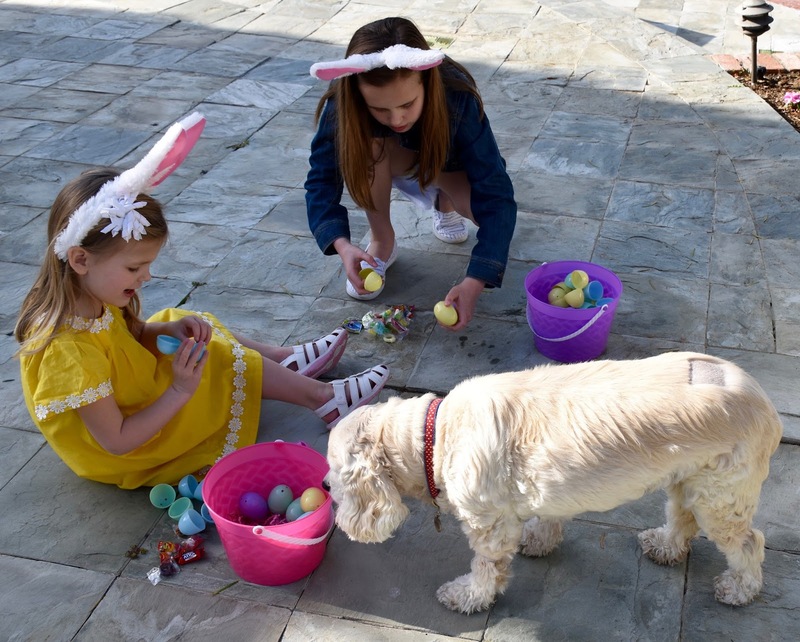 They put the eggs behind a tree and some flowers by the playground so little kids...or maybe pups on walkies...will be able to find them easier. Thanks! 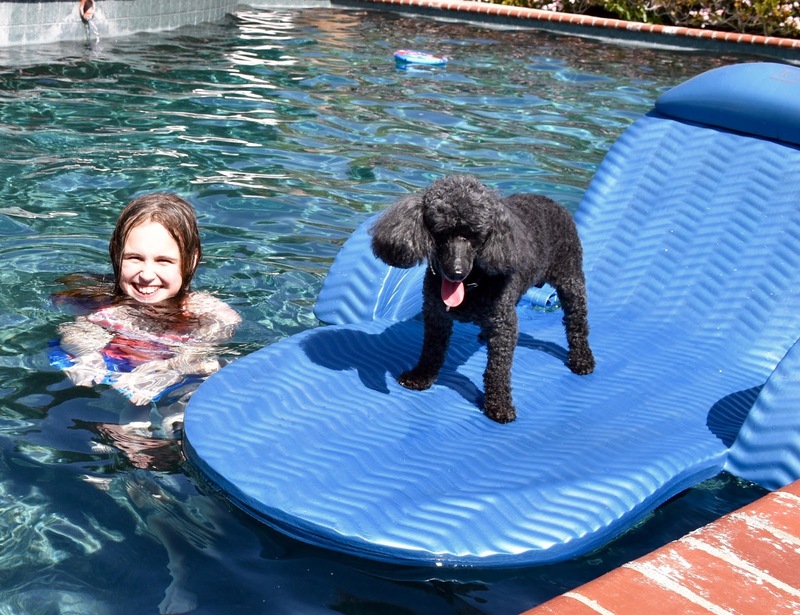 I love my float -- but I let my family use it too! That is so nice of your people. So fun finding orphan eggs after Easter! Hope you have a fab day! BearHUGs & RosyPoodleKisses x8 (+3) !